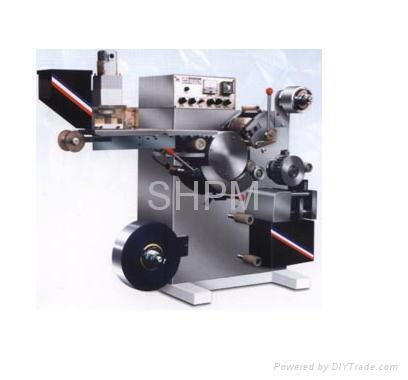 This machine adopts the internationally popular composite aluminum film with such performances as good seal, moisture proof and photopathy as forming material. It can cold punch stiff uniform blisters through special forming moulds. 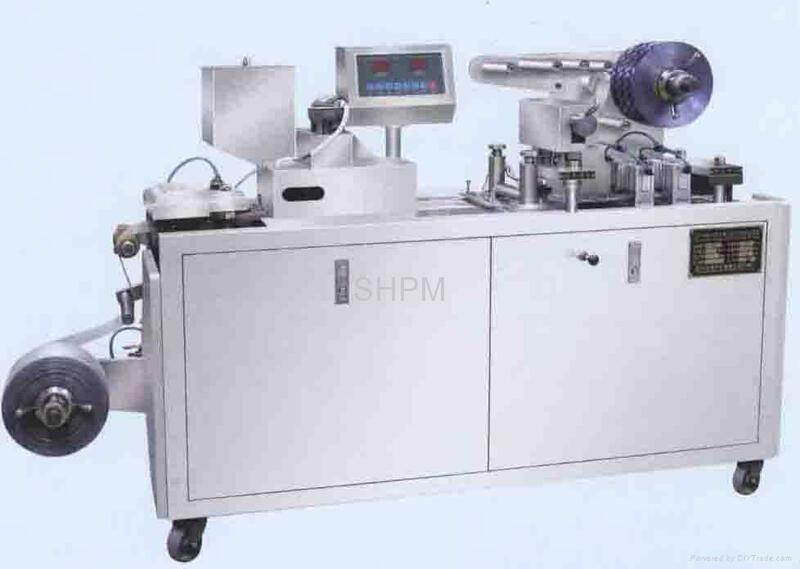 And it can produce beautiful packed products through such stations as professional feeding system, detecting heat-sealing, batch No. printing, line cutting, blanking, waste plate automatic rejecting, waste automatic recovery and finished-product surveying, etc. Cold punching forming moulds make blisters stiff and uniform. 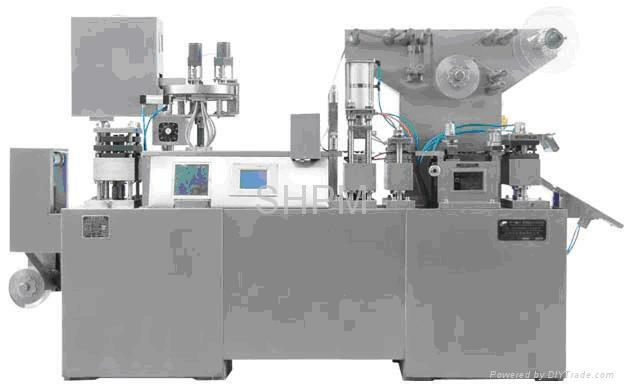 Man-machine interface, PLC control variable frequency stepless speed regulating. Professional performance feeder, adopting multi-stage vibration and carrying out pipeline blanking, register and position-vibration and carrying out pipeline blanking, register and position-checking, feeding method. 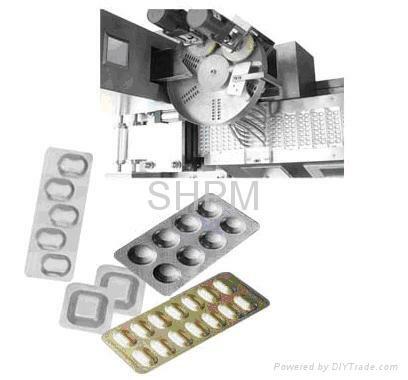 It can automatically check the missing plates(granules),and can automatically waste tablets reject waste plate. With cylinder heat-sealing, the upper and lower checkers ensure the effect of heat-sealing. The waste automatic recovery device.